Why Orange Juice Tastes Bad After Brushing Recently updated ! Orange juice tastes bad after brushing your teeth because foaming agents affect chemoreceptors in taste buds. Orange juices tastes terrible if you drink it right after brushing your teeth. It’s a familiar scenario. You wake up in the morning, grab the toothbrush and toothpaste to start the day with that fresh feeling, and head to breakfast. But, you should really re-think the order of things. Save the toothbrush for after the orange juice. Foaming agents in toothpaste are the culprits. 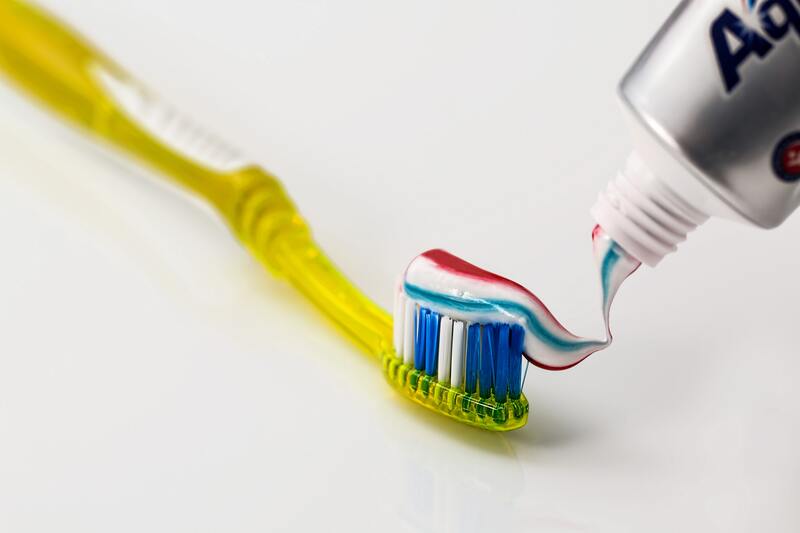 If toothpaste lacks these chemicals, you can smear it around with your toothbrush, but it won’t reach every nook and cranny between your teeth and it won’t be as effective. Foaming action results from sodium lauryl sulfate (SLS) or sodium lauryl ether sulfate (SLES). These chemicals are surfactants that help toothpaste disperse in water, but they also interact with taste buds. First, SLS and SLES break down phospholipids present in the mouth. The phospholipids naturally moderate our ability to taste bitterness. With fewer phospholipids, we’re more sensitive to bitter flavors. The pleasant tang from citric acid in orange juice still tastes sour, but with added bitterness. The surfactants also affect other flavors. Specifically, SLS reduces the sweetness of sugars and the saltiness of salt. Basically, toothpaste completely changes the way the taste buds perceive flavors. If you decide to swap out orange juice for a soda, you can expect the same unpleasant experience. If you check product labels, you’ll see SLS, SLES, and related surfactants in a host of products. You’ll find them in soap, detergents, and shampoo. While it’s unlikely you’ll eat any of these products on purpose, if you accidentally get soap in your mouth in the shower, you can expect your breakfast orange juice to get that “just brushed” flavor. So, if you want to enjoy your orange juice and still practice good dental hygiene, it makes sense to brush your teeth after drinking the OJ. Right? The problem here is that the acids in orange juice weaken tooth enamel. The effect is more pronounced if you brush immediately after enjoying an acidic food or beverage. Brushing right after drinking orange juice or a carbonated drink can actually remove some enamel! If you must brush your teeth first thing in the morning, eat a bit of food before indulging in juice. Otherwise, allow some time after drinking orange juice before reaching for the toothpaste. The American Dental Association (ADA) recommends waiting at least 30 minutes. DeSimone, J.A., Heck, G.L., Bartoshuk, L.M. (1980). Surface active taste modifiers: A comparison of the physical and psychophysical properties of gymnemic acid and sodium lauryl sulfate. Chemical Senses, 5(4), 317-330.